The 2019 Daman Challenge TriYas markets itself as the “UAE’s community first-timer triathlon” and this year the competition upped that ante by adding a super sprint. The category brings down the daunting Olympic distances the event is known for — a 1,500-kilometer swim, 38.5km cycle and 10km run — to something mere mortals who haven’t been training since last year might actually consider: a 200m swim, 5.5km cycle and 2km run. Scheduled for Friday evening (February 15 2019), organizers for this year’s TriYas are expecting more than 1,500 people of all abilities to participate. The event caters to elite athletes, first-timers and everything in between, even kids. Daman offers a ton of support in the weeks leading up to the event, holding cycling and running training sessions in the Yas Marina Circuit on Sundays, Tuesdays and women-only Wednesday. Many of the women who train at Yas Marina Circuit are part of the Tri Belles Women’s Triathlon community. 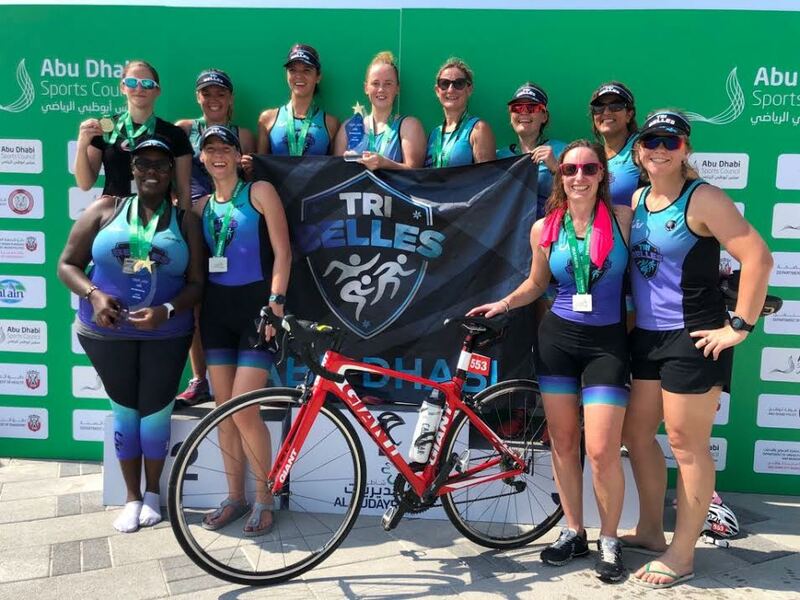 Founded three years ago, the Tri Belles have grown to more than 150 active members, making them one of the largest active triathlon communities in the UAE. The only credentials needed are to be a female in the UAE. 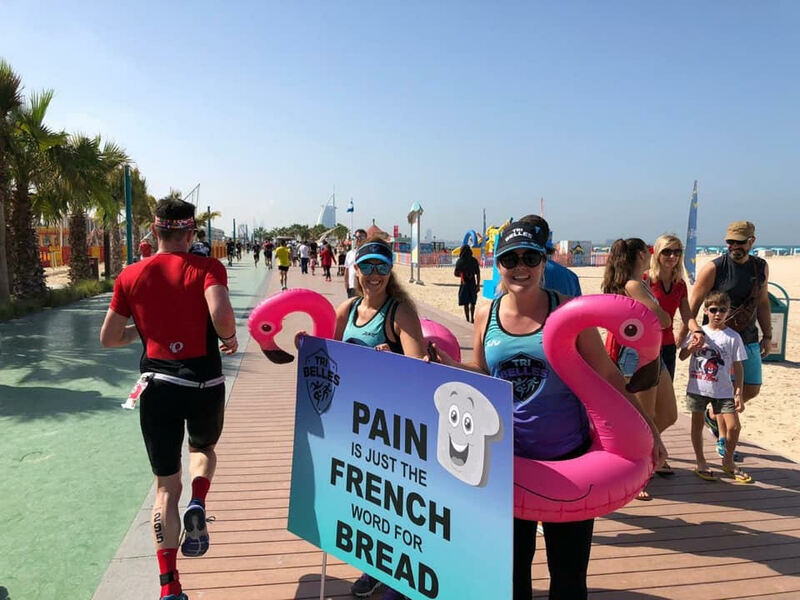 Sorry gents, but there are plenty of other triathlon communities to join, including the Abu Dhabi Tri Club, or TRIbe in Dubai. The emphasis here is on community. Building a community is as important as training and racing to the Tri Belles, who are well-known for their race-day cheer squads. If you’ve ever noticed a group of women wearing inflatable flamingos or unicorns shouting encouragements at racers, they are Tri Belles. Some of the members of the cheer squad are not even triathletes, but women who simply come to support the racers. 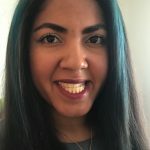 “Everyone hits a part of the triathlon that is painful, and just hearing someone call your number can help you push to the end,” explains longtime member and current Tri Belles head Kate Turney. Though the community is based on fun, don’t mistake that for lack of athletic vigor. The Tri Belles have many competitive racers and have seen multiple first-timers transform into serious triathletes. 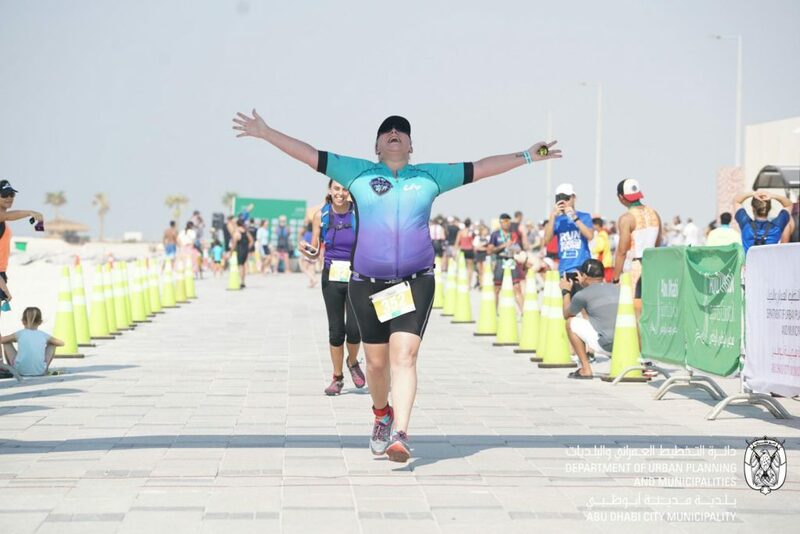 Just this past Friday, several Tri Belles completed the Dubai 70.3 Ironman. The Tri Belles have been hard at work training for the TriYas, which by nature of having three disciplines can be difficult to prepare for. When it comes to race-day advice, mostly the Tri Belles would advise participants to make sure to have fun. • Gates for the 2019 Daman Challenge TriYas open at 11am, waves run from 12 to 5.30pm with prizes handed out at 7pm. Previous Previous post: Why is everyone trying to do a handstand?